Thanks to advancements in technology, it’s easier than ever to see a doctor. Have a weird infected toenail? You might go to WebMD looking for answers and find out that it’s a possible symptom of something serious. For a small fee, you can chat with a Doctor online. Can’t describe it? For more money, you can video-chat with a Doctor. Still not getting the answers you want? Try having a doctor show up to your door 30 minutes after requesting them. Heal has been nicknamed the Uber of the medical industry because the app’s functions. After downloading the app, someone can tap “request a doctor” and connect with a doctor. The app promises that the doctor will come within less than an hour. The doctors bring everything they need with them and prescribe medicine if needed. Like a normal doctor’s office, care is only available between 8 AM and 8 PM. As of now, there are about 20 doctors available. They include, “independent licensed pediatric, internal medicine, emergency medicine, family practice and general practice physicians.” Heal seeks to remain transparent and lists advisors and developers involved with the app. However, there are some limitations of the app. Currently, heal is only available in Los Angeles and San Francisco. The company plans on expanding if this is successful. Another drawback is that each visit has a flat rate of $99 and is paid through the app. They claim there are no hidden fees. That’s a pretty steep price considering the money is paid out of pocket through credit or debit. Insurance currently doesn’t cover this, although they recommend contacting the insurance company to see if they will reimburse some of the cost. Depending on one’s insurance, a typical doctor’s visit with co-pay is anywhere from $0 to $20. Without insurance, a typical visit can range from $50 to $85. At Student Health, Gaucho Health Insurance typically covers all the of costs, including co-pay. It’s interesting to note how rapidly old practices are being influenced by new technology. Heal is only the latest step in many when it comes to integrating technology into the medical industry. Previous examples include sites like DoctorsOnDemand, that connect you to a doctor via a video call for a small fee of $40. Like Heal, these costs are paid out of pocket and are not covered by insurance. These options are better than Googling your symptoms, which can take you to medical information sites such as WebMD. Unfortunately, you’ll have to diagnose yourself—but it’s free. The medical field itself is keeping up with technological developments. You may have noticed some doctors using iPads in the office instead of the traditional clipboard. Increasingly, more records are kept digitally rather than on paper. Heal isn’t the first app made for the medical world. iMeds XL is an app that contains a list of all FDA approved drugs and prescribing information. MediMath is another app that helps calculate how much of a drug to prescribe. 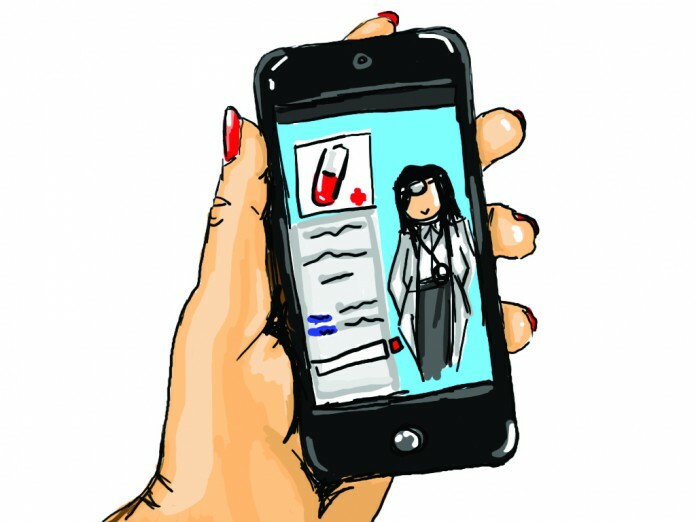 There other apps that connect doctors with each other for work-related consultation. These days, people can use smartphones to track blood sugar with apps like Glooko. Users can simply input or upload glucose readings from their meter and keep track of what they eat. There’s also a way for taking ultrasounds at home by buying a separate ultrasound wand and downloading an app. Mobisante sells portable ultrasound wands that can attach to a smartphone, tablet, or laptop. With the help of technology, people can expect more convenient and faster medical care—for a price, of course.